Most unusual Squeeze reference of the day! Here’s a comment on The Guardian today about a topical event – so who agrees?! 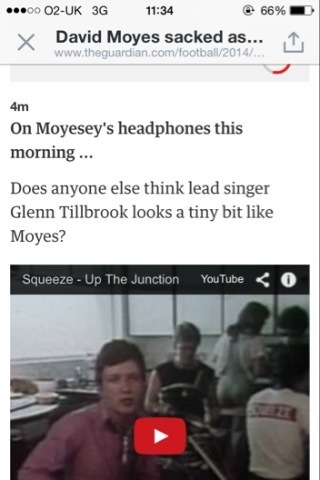 I think the only similarity is that David Moyes is currently Up the Junction. One Response to "Most unusual Squeeze reference of the day!"